There are seemingly unlimited used mid-sized car options that prospective buyers can pursue. Assuming you have enough wiggle room within your personal budget, it might be in your best interest to pursue a recent-year offering. This makes plenty of sense, as customers can expect modern technology, relatively low mileage counts on the odometer, and non-compromised performance. Often times, when you account for the savings you’ll see by pursuing a used mid-sized car, these vehicles are often better values than their new counterparts. If you agree, then you might want to opt for a used Ford Fusion, specifically from the second-generation. These vehicles are equipped with a number of features and amenities that are also included in the newer counterparts, but they’re also accompanied by a significantly lower price tag. If you are looking for a used car and you’re not quite sure where to start, you could certainly do worse than exploring the car that MotorTrend named “Car of the Year” in 2010. In fact, any of the first generation of Ford Fusion’s would be a fantastic place to begin your used car search. If you’re unfamiliar with the first generation of a car that is still holding it’s own in the midsize car class, read on and find out why you should consider a first-generation Ford Fusion for your next new-to-you ride. The first generation of Ford Fusion’s are those models that were released between 2006 to 2012. Of course a lot can change in seven years and that includes engine options. From 2006-2009 the Ford Fusion came standard with a 2.3-liter four-cylinder engine that offered 160 horsepower and came in either automatic or manual transmission. Drivers could also opt to upgrade their trim and therefore upgrade their engine to a 3.0-liter V6 automatic that got 221 horsepower. However, if you’re looking to buy a used Ford Fusion, most experts recommend getting one made after 2009, as that was the year that stability control, traction control and anti-lock brakes became standard on all Fusions. The first generation of the Ford Fusion was offered in a choice of three trims: the S, SE and SEL. In its very first model year, the base model S came with cruise control, keyless entry, full power accessories and four speakers. It also had a CD player and was MP3 compatible – technology that is quaint by today’s standards but was great at the time. The starting MSRP for a 2006 Ford Fusion S was $17,145, but you could also move up the trims to the SE if you wanted to add two additional stereo speakers, a six-way power driver’s seat, interior carbon trim and steering-wheel mounted audio controls. The SE also allowed for options included leather seats, an in-dash CD changer, alloy wheels and a moonroof. It had a starting price of $17,900. If you wanted to go top of the line with your 2006 Ford Fusion, you had to go with the SEL trim, which started at $18,985. The 2006 Fusion SEL had automatic climate control, a six-disc CD changer, and either piano black or wood interior trim. It came on 17-inch alloy wheels and had available options that included heated seats, an auto-dimming rearview mirror and automatic headlights. In 2006, the trunk offered 15.8 cubic feet of space and drivers had the ability to fully collapse the back seats, which at the time was not common in the midsize class. 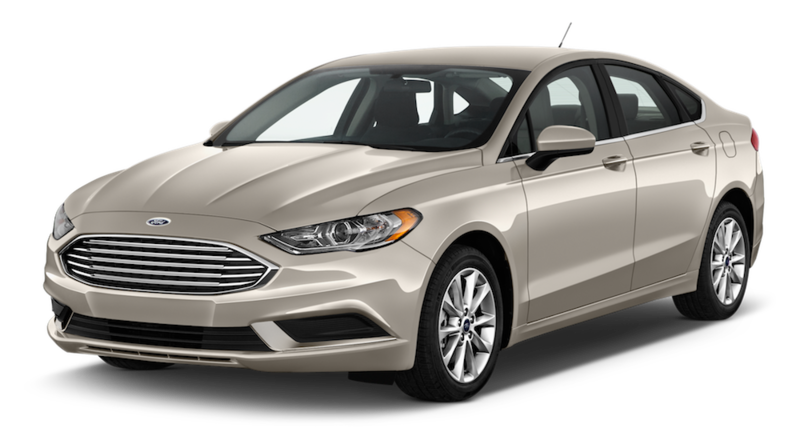 From its inception, the Ford Fusion has been a safe choice for those looking for a sedan. In 2007, it was given the top rating of Good by the Insurance Institute for Highway Safety, a designation it clung to in its 2008, and 2009 model years. In fact, in 2009 the Ford Fusion was designated a Top Safety Pick by the IIHS. J.D. Power & Associate gave the Ford Fusion a two-out-of-five overall dependability score in 2007, but increased its rating to three-out-of-five in 2008. By the 2009 model year, the Ford Fusion was given a five-out-of-five dependability score by J.D. Power. In 2012, the last model year of the first generation of the Fusion, Ford had released the model with three available engines: a 2.3-liter four-cylinder with manual transmission (automatic optional) and produced 175 horsepower, a 3.0-liter V6 that produced 240 horsepower and a 3.5-liter V6 that produced 263 horsepower. Of course, the engine availability was dependent on trim type with the high powered 3.5L V6 only available on Sport trims, however, most reviewers were happy with just the base model four-cylinder for commuting and standard driving needs. By 2012, the Ford Fusion’s three trim levels had all gained additional features, and two more trim options became available: the Hybrid and the Sport. The 2012 Fusion SEL became substantially more well-equipped, offering heated mirrors, automatic headlamps, a six-speaker sound system, keyless entry pad with a unique security code, power-adjustable and heated front seats, leather upholstery, automatic dual-zone climate control and Ford’s Sync infotainment system. The Hybrid was essentially the same as the SEL, just with a different engine configuration that included an electric motor. The Sport trim shared more standard features with the SE rather than the SEL. It offered sport-tuned suspension and steering, a leather-wrapped steering wheel, 18-inch wheels, a spoiler and Sync. Of course, Ford also released a number of packages that could be included onto your model, including the Comfort package, the Sun & Sync package, the Moon & Tune package, the Driver’s Vision package and the Luxury package. By 2012, the Ford Fusion could be so additionally equipped with interior amenities that it rivals some cars released five year down the line. If you’re looking for a used car that can compete with more recent releases, opt for a higher trim, later model year first generation Ford Fusion – you’ll probably be surprised at how modern the car still feels. By 2012, it was not only given the rating of Good by the Insurance Institute for Highway Safety, but it was also named a Top Safety Pick for the year. Additionally, the National Highway Traffic Safety Administration gave the 2012 Ford Fusion a four-out-of-five star overall safety score. A great feature of the later first-generation Ford Fusion models is the inclusion of Ford’s MyKey technology. MyKey allows parents to set limits on not just the maximum speed the car can reach but also the maximum volume of the stereo. This technology is becoming much more standard today, but it certainly was innovative and forward-thinking in the later generation Fusions. Following the relative lack of success for both the Ford Contour and Ford Mystique, the brand had generally avoided the mid-size car segment… until the release of the second-generation Ford Fusion. This particular version of the popular Ford Fusion made its public debut in 2012 at the North American International Auto Show. Following the success of applicable Ford Fiestas and Ford Focus models, the brand decided to build their new vehicle on the Ford CD4 Platform, using the groundbreaking “One-Ford” car-building strategy as their guide. There were some major differences between the first-generation and second-generation version of the Ford Fusion. The updated vehicle was built on a longer wheelbase, and engineers cleverly increased the width, height, and overall size of the mid-size car, as well. Surprisingly, several of the interior dimensions decreased, particularly in the trunk (although the half-an-inch downgrade is barely noticeable). Engineers ended up removing the double wishbone suspension that was previously featured in so many of Ford’s vehicles, replacing it with the more effective McPherson struts and multi-link rear suspension. When the second-generation of the Ford Fusion hit dealership lots, buyers had an opportunity to opt for four different engine options. The Duratec 2.5-liter engine was seemingly the standard offering, as customers could expect 175 horsepower, 175 pounds-feet of torque, and a 34-mile-per-gallon highway fuel efficiency (when equipped with the six-speed automatic transmission). There was also a 179-horsepower, 184-pounds-feet-of-torque, 1.6-liter Ecoboost Turbocharged I4 engine, and drivers could generally expect a fuel efficiency around 37-miles-per-gallon on the highway from this specific offering. The 2.0-liter Ecoboost Turbocharged I4 engine represented a considerable uptick in power at around 240 horsepower and 270 pounds-feet of torque. Drivers could also anticipate a 33-mile-per-gallon highway fuel efficiency when accompanied by the six-speed automatic transmission. Perhaps the biggest addition to the model came via the hybrid technology and plug-in hybrid technology. In time for the vehicle’s second generation, the brand released their Ford Fusion Energi. Inclusions like lithium-ion batteries (instead of the former hydride batteries) influenced fuel efficiency, as drivers could generally expect 47 miles per gallon. There was also a Durance 2.0-liter engine, which could pump out 188/144 horsepower and 177/129 pounds-feet of torque (depending on the version), and owners could also anticipate a 41-mile-per-gallon highway fuel efficiency with the Hybrid CVT. By equipping their new Ford Fusion with a number of cameras and radar detectors, the company was able to deliver unmatched safety to their customers. Inclusions like the Lane Keeping System kept drivers traveling on their intended path, while the Blind Spot Information System (with cross-traffic alert) provided drivers with a second set of eyes. The Adaptive Cruise Control (with Forward Collision Warning) was a clever inclusion, as it allowed drivers to take a brief break without compromising safety. Meanwhile, the Active Park Assist technology (with the accompanying backup camera) made it significantly easier to squeeze into those tight spaces. A driver searching for a 2013 Ford Fusion will likely see that vehicle partnered with three different trim levels. The “S” was the standard base model, and the specific version of the vehicle included the 2.5-liter Durance engine. On the inside of the vehicle, customers could capitalize on the AM/FM color screen stereo system, and they could opt for the SIRIUS Satellite Radio if they wanted (practically) unlimited listening options. The upgraded “SE” package improved the four-speaker interior to six speakers, and they revised the sixteen-inch steel wheels to seventeen-inch alloy wheels. Finally, the “Titanium” version included a number of luxury amenities, like heated front seats, the innovative MyFord Touch System, push-button start, and a Sony 390-watt surround sound system. Ford was apparently rather satisfied with their product, as the brand made little changes to the 2014 version of the Fusion. They did include a new 1.5-liter EcoBoost four-cylinder engine, which was capable of delivering 181 horsepower, 185 pounds-feet of torque, and 36 miles per gallon on the highway (when accompanied by the six-speed automatic transmission). Meanwhile, the 1.6-liter EcoBoost Turbocharged I4 engine was no longer offered alongside the six-speed Ford B6 manual transmission. Similar to the 2014 model, there also weren’t many changes to the 2015 Ford Fusion. The brand did add the all-wheel drive technologies to the SE models, meaning customers no longer had to opt for the Titanium trim to acquire these capabilities. Ford also included a number of new exterior colors to their line. The major changes to the 2016 Ford Fusion were focused on subtractions rather than additions. Sure, the brand included a new Appearance package, which provided customers with access to new 18-inch wheels and a number of exterior amenities. However, the biggest revisions came via the brand’s removal of both the Durance 2.5-liter engine and Durance 2.0-liter engine. Finally, in time for the 2017 model year, the Ford Fusion underwent some major changes. Several of the revisions were cosmetic, including the completely restyled front and rear of the vehicle. The vehicle was equipped with the brand’s new SYNC 3 infotainment system, and the Apple CarPlay and Android Auto compatibility made it incredible easy to seamlessly connect your smartphone to the unit. In regards to performance, the brand’s new rotary-controlled automatic transmission made it much easier to switch between gears. Ford also unveiled a number of new model versions of the Fusion. The “Sport” version included the 2.7-liter Ecoboost Turbocharged V6 engine, which was capable of delivering 325 horsepower, 380 pounds-feet of torque, and a 26-mile-per-gallon highway fuel efficiency (when accompanied by the 6F55 six-speed automatic transmission). The “Platinum” version included a number of convenience and comfort features, like a power moonroof, Nappa Leather Seating, and cooled front seats. Now that you have some idea of which used Ford Fusion you’re going to pursue, it’s time to head into McCluskey’s dealership and peruse the available used mid-sized cars.